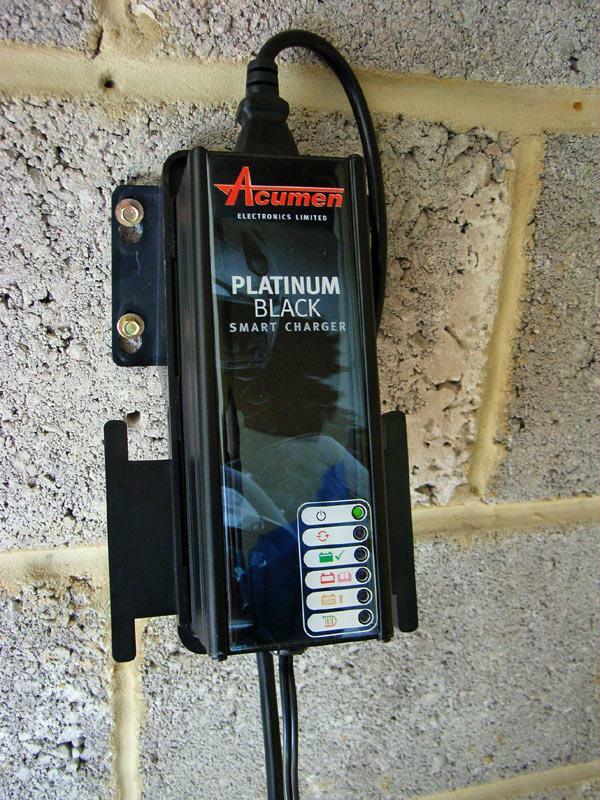 British electronics specialist Acumen revolutionized motorcycle battery maintenance when they introduced their Platinum smart charger. With its distinctive aluminium body, it will test, charge and maintain all types of lead-acid batteries including MF (Maintenance Free) and GEL varieties. New for 2010, Acumen’s second generation smart charger retains its robust splash-proof aluminium case (certified sealed to IP54) but gets a sophisticated black colour scheme so that it’s instantly recognisable. Inside its microprocessor controlled charging and maintenance software has been remodelled to deliver the most sophisticated floating charge on the market. Six coloured LED's on the front of the unit indicate power, polarity, battery condition, recovery mode, etc. These have been increased in size to 5mm diameter, making them easier to see. Protection is built in against reverse polarity, over voltage and over heating. Priced at £49.99 inc. VAT the Acumen Platinum is supplied in a steel presentation case complete with a waterproof lead for permanent connection to the motorcycle battery, 3M extension lead and crocodile clips too. It even comes with a wall bracket.